This is a game that always grabs attention, no matter which sport is being played. You can expect that plenty of eyes all across Europe will be tuning into Madrid on Thursday evening. 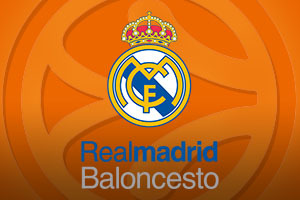 The hosts, the Real Madrid Baloncesto’s, have a 2-1 record in the Top 16 and a 7-6 record overall. FC Barcelona also have a 7-6 record in the Euroleague and a 1-2 record in the Top 16 so far. The domestic clashes between these two teams are almost too numerous to count but this will be the 23rd clash between these sides in European action, and this includes three semi-finals. The hosts are the reigning Euroleague champions and after a very tricky start to their Euroleague season, they are finally getting it together. Sergio Llull is still an absentee for the hosts but players like Luka Doncic and Sergio Rodriguez have the capabilities to make the difference for the home team. Gustavo Ayon has been in strong form for the hosts and if he is able to play to his strengths on Thursday, the home fans could have a lot to celebrate. FC Barcelona started the season very well but since qualifying for the Top 16, they have lost form and been unable to put a run of form together. They have been strong with respect to handling the ball this campaign, offering up the fewest turnovers in the Top 16, but there has been something lacking in the Catalan side this campaign. There hasn’t been too much lacking in the form of Ante Tomic though and he has been one of the key players for Barcelona while Alex Abrines and Stratos Perperoglou will need to deliver if the away team are to celebrate a trip to the Spanish capital. 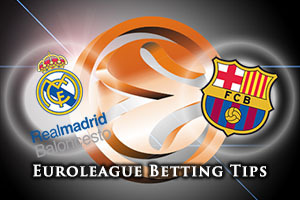 The hosts are considered the favourites and there is a lot to be said for taking Real Madrid at -4.5, at odds of 1.90. If you are looking to take the Over/Under market, you should look to go OVER 165.5 which can be found at odds of 1.90 for this clash between two old rivals. Bet Now!